This is the 27-day forecast issued at this same day of the Bartel Rotation two rotations back plotted with the observed F10 and Ap for the entire forecast interval. 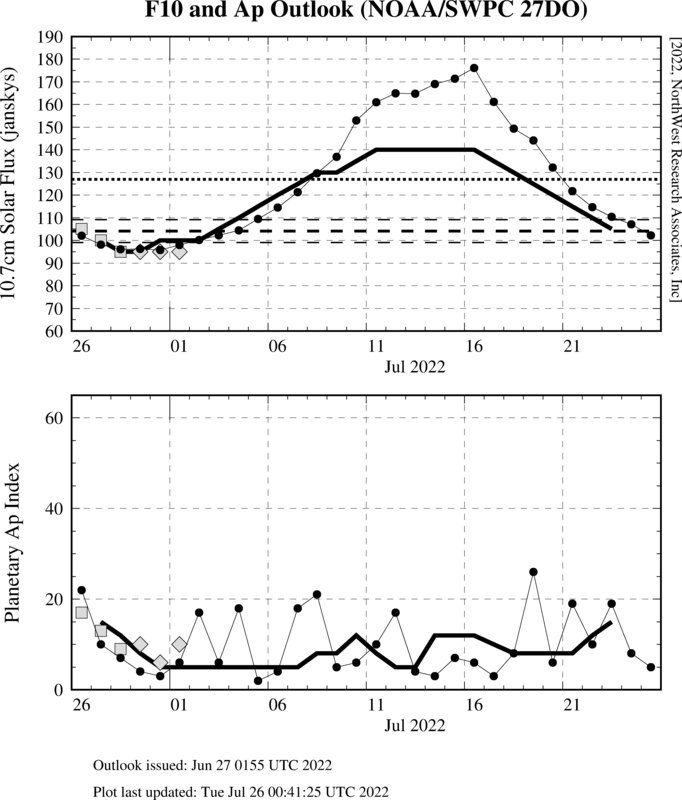 Also shown are the short-term forecasts from the daily RSGA product. Symbols and lines are the same as in the current version of this plot.